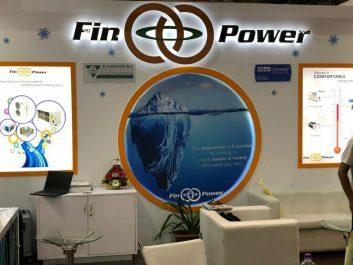 All the latest news & events related to Finpower are listed below. From the expert himself! Our Managing Director, Mr Rajesh Shenoy, featured in the Gulf News, discussing why it’s imperative for the HVAC to focus on energy efficiency. A proud moment for us, we are privileged to be the Air Conditioning sponsor for the Big5, 2018, which is the largest construction event in the Middle East. With over 64,000 participants and more than 2500 exhibitors pouring in from different parts of the world, it is scheduled from Nov 26-29, 2018 at the Dubai World Trade Centre. Visit us at the hall: Zabeel 5, Stand D79. 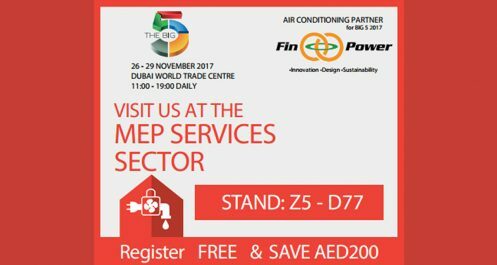 We have our high-quality product range on display at the new HVAC-R sector of the Big 5, that is solely dedicated to exhibiting HVAC & Climate Control Solutions and products.